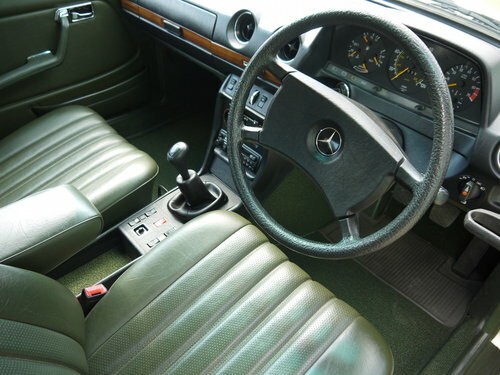 Mercedes launched the W123 in 1976. 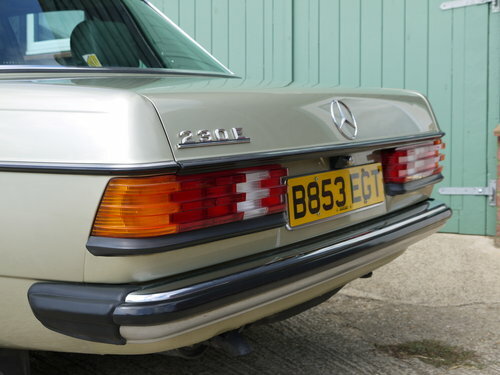 It was hugely successful and over 2.7 million were produced before it was replaced by the “E” Class in 1985. 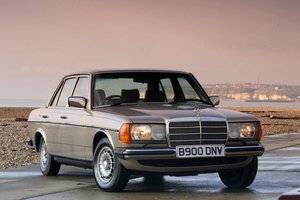 Beautifully built and great to drive these models represent a high point in Mercedes Benz quality and the best examples are now becoming valuable. 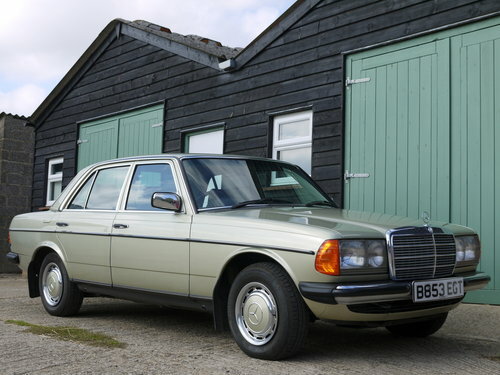 This car is a 1985 W123 230E 5 speed manual in Thistle green metallic. 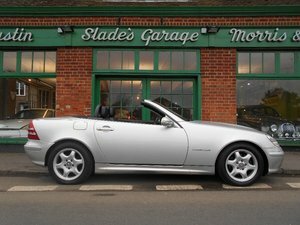 It has covered a correct 65,000 miles from new in the hands of just one fastidious owner (number of previous owners, “none” on the V5). 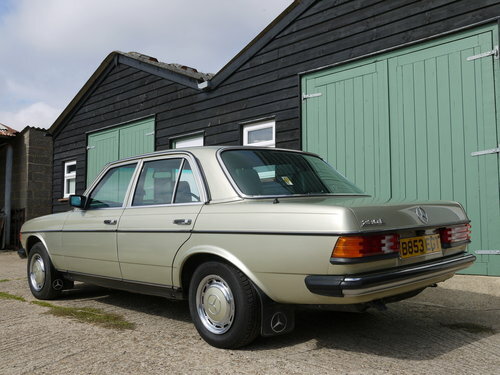 It was ordered new in Hong Kong, to UK spec by a British diplomat working there who was about to retire and it was shipped back to the UK immediately. 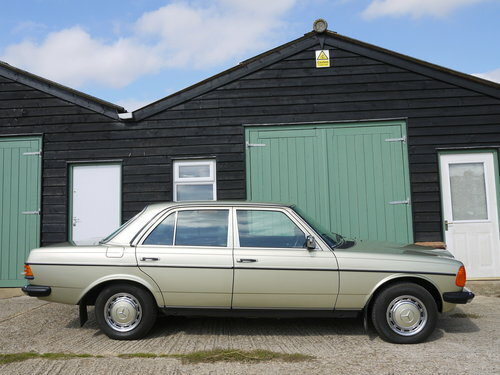 The history file is vast and detailed and the owner has kept every document from the correspondence with the supplying dealer when it was new, onwards, as well as all of the bills for routine servicing and repairs, the majority carried out by Alan Day Mercedes in London. 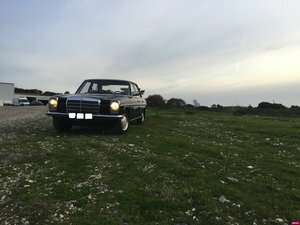 This W123 is a “one off” and perhaps unique. It has always been garaged from new and this shows in the condition. 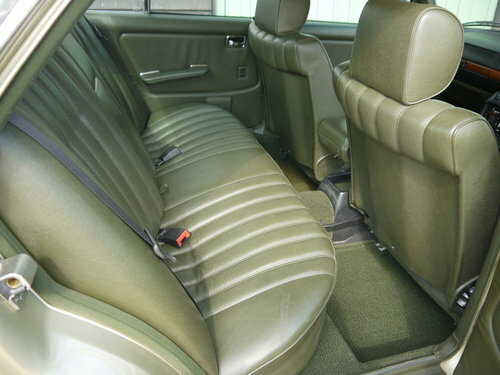 The interior is unmarked and the carpets which have been protected by MB mats have not even started to fade. The body and underside are close to perfect and it drives very much like a new car. 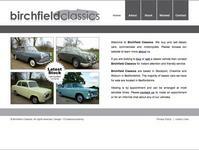 In summary, it is not quite concours but with a couple of weekends detailing it is capable of winning shows. We have just carried out one or two minor jobs and hundred or so test miles after a short period of little use. It is now ready to use. 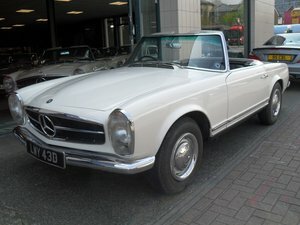 Comes with original dealer pack, stamped service book (majority at Alan day Mercedes in London) spare key and all original documents from Mercedes-Benz. Please call if more information is required. Delivery possible. Classic P/X possible. 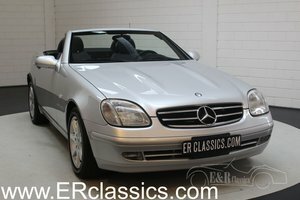 1991 STUNNING 25 YR OLD MERCEDES WITH PRIVATE PLATE "E20AVA"
1985 MERCEDES BENZ W123 230e AIR CON - RHD - COLLECTOR QUALITY!